Quetta defeated Islamabad United in their last game which was played on Thursday. Quetta will lock horns with Karachi so that it can go at the top of the PSL 2016 points table after garnering four more points. If they successfully repeats their last performance, then they will place themselves in the next stage with ease. Quetta will play their first PSL match against Karachi bowlers. So, they remaied to be tested in front of them. The Karachi side has bowlers likes of Mohammade Amir, Sohail Tanvir, Shakib-Al-Hasan, etc. By looking at the cards, the game appears to be very interesting. Amir must be on high confidence as he has already taken a hat-trick of the PSL. 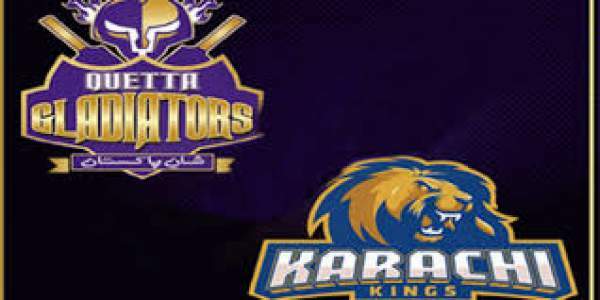 Although, the Karachi Kings may not have an equivalent batting lineup as compared to Quetta, but they have been filled with quality players in total to make the team win. Lendl Simmons made 62 runs from just 46 runs not out to help the team make a big total of 125 runs. Apart from Simmons, the team has players likes of Shakib and Shoaib Malik in the middle order which gives the team a solid lineup. However, they should be careful while playing against the bowlers of Quetta which has Anawar Ali, Zulfiqar Babar,a nd Umar Gul and others. Quetta will majorly depend on the services of Gul who is considered to be a top t20 bowler across the globe. He delievers a good yorker and mix of other deliveries. Both the team have won their last match. Thus, both will try to continue their winning streak. It is going to be an interesting match to watch out for. Quetta vs Karachi is scheduled to start at 3 pm local time (4:30 pm IST, 4 pm PKT, 11 am GMT). There will be no TV channel which will live telecast the matches in India. The UK people who want to watch the game can see the live telecast on Prime TV while QG vs KK live streaming on Prime TV Online. For the rest of the world, the live stream facility is available on Cricketgateway.